Usually Tour de Suisse is softer than Dauphiné, not using all the mountains to attract a different type of riders, leaving Mountain riders the Dauphiné. We ask you, so, to design a Tour de Suisse harder than the usual edition, in a Dauphiné style. Route should be balanced for climbers than time-triallist men in a proportion of 70% (quintana-type, for example)-30% (dumoulin-type) approximately, but not excluding completely time-triallists from the table. You can put steps from abroad, as happened at the Tour de Suisse until last year and also at the Dauphine when he stopped at the Lac d'Emosson? Yes, you can go abroad. WOW! Capisco che sia una corsa per scalatori, ma una tappa con Mortirolo, Gavia, Stelvio, Ofenpass non si vede manco al Giro D'Italia!! The second stage is made for those classics specialist that usually come to the race. The final circuit is that of Lugano 1996. 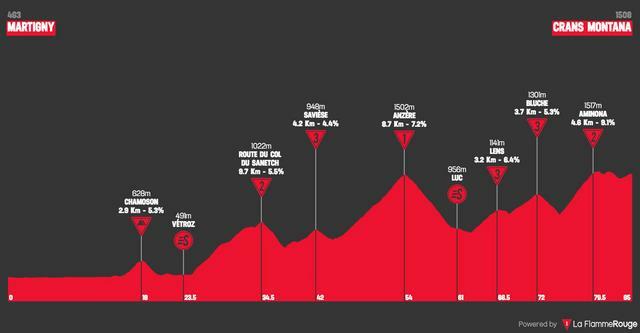 In the third stage Tour favourites can test themselves in a hard mountain top finish and perhaps also test attacks in the last 2-3 kilometers. A bunch of short climbs in the second half of stage 4. Time to prepare the scarce Tour de France ITT with a short and flat one. The stage where sprinters have more options, if they survive the climbs in middle part. Another test in a MTF, this with peloton greatly diminished by the previous climb. 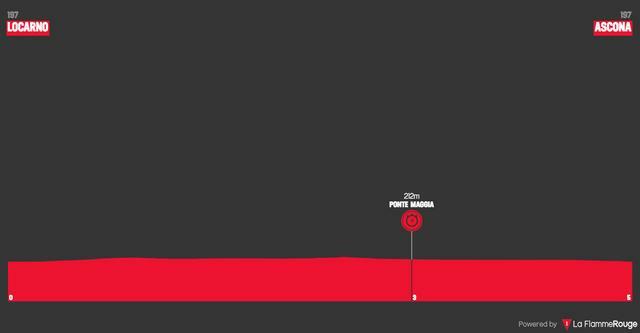 You can also test an ASO favourite: the ridiculously short montain stage. And finally altitude, long clims and cumulative elevation gain in the queen stage. This TDS starts with a prologue in the streets of Lausanne. It ends on Castle's Square, near to Château Saint-Maire. The stage ends at Fribourg. The final is really hard, with some (city) cobbles in the last climb. These aren't difficult, but in a climb it can be dangerous. This stage is ending with 4 laps around Hochdorf, with the difficult climb of Römerswil, which we climb by the hardest slope. This is the only opportunity for sprinters to win a stage in this Tour de Suisse. This stage reminds me of the serie Mortirolo-Aprica. Engelberg is a bit harder than Aprica but Ächerlipass less hard than Mortirolo. This stage promises a lot. Today the stage is really hard. We go above 2400 m high, so failures can appear. We pass near to source of the Rhône, one of the longest rivers of Europe. This stage arrives in the skistation of Tschappina, in Glaspass. This climb is very hard. 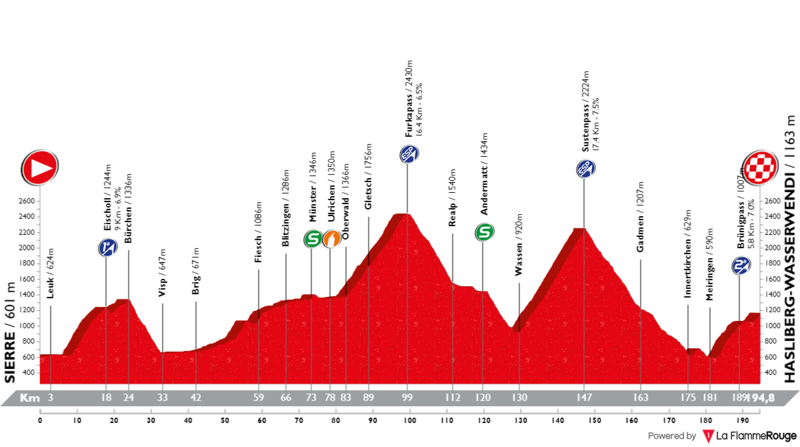 This stage is not very long so we could see attacks in the Ofenpass to why not finish victorious on top of Umbrailpass. I decided not to go to Stelvio to keep the race only in Switzerland. The last stage is an ITT. It is a flat until 18 km, we climb 6 km and then go down to Scuol. 1995 stage had not Mortirolo, nor Stelvio, nor Gavia! Sadly it seems my route is coincidently a bit too similar with @xiky route. I have one potential alternative of changing my finish on Chasseral for Marchairuz so if it's a problem then i can change it. It took 5 days to create this tour. I decided to not take into account rail crosses as Switzerland's main transport type is rail. Tour de Suisse stage 1. Lugano – Lugano, 164km, medium mountain. A more mountainous Suisse? I'm definitely for it. 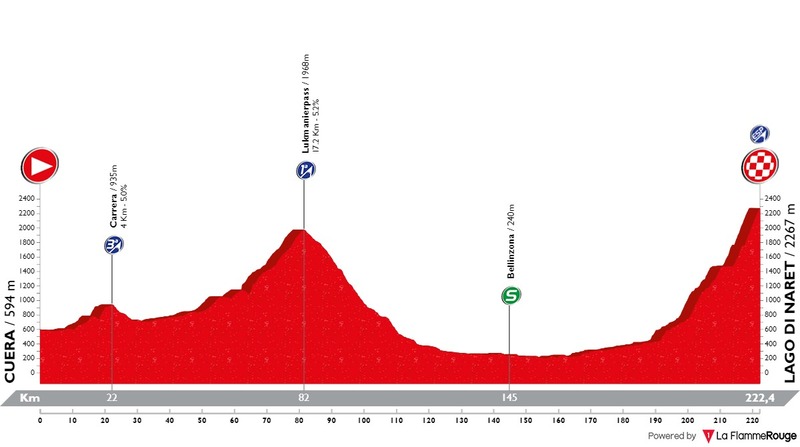 The race starts in Lugano, but this time not with a prologue but a technical, medium mountain course over 3 climbs. With 3 laps that's 9 categorised climbs. The harders climb (the only cat. 2 of the day) is Baslona – 5.6km at 7.2% (max 12%). The descents are wide but technical. The finish is just after the descent from Baslona. Possible outcome? If you'll crash, better now than later. I hope the yellow will go to someone from a breakaway. There may be some minor GC action on the last ascent of Baslona. Tour de Suisse stage 2. Lugano – Lenzerheide, 186km, mountain, MTF. The first mountain stage finishing in Lenzerheide – a major ski area connected with nearby Arosa and Davos. I think it was also a finish in 1995 Giro. The main climbs are Lukmanierpass/Passo del Lucomagno (because San Bernardino is a more popular choice) – 28km at 5% (max 10%), a fine warm-up and Lenzerheide (or Lenzerheidepass) – 14km at 6,8%, the main dish of the day. The last climb is in reality two climbs separated by 4,5km long false-flat. The first part is 6km at 8,7% (max 12%), the 2nd part is 3,5km at 8,8% with 1km at 11%. The finish line is in the town of Lenzerheide, roughly 3,5km after Lenzerheidepass. I guess it should be the first stage with GC action. Tour de Suisse stage 3. Davos – Hoch-Ybrig, 206km, mountain. Following a MTF stage is obviously a descent stage, even if it ends on sort of a HTF. The start is interesting as the first 30km are a gradual descent from Davos. Like in the previous stage, there are two main climbs – Klausenpass – 22km at 5,8% and Ibergereggpass – 10,4km at 8,5% (max 12%). The top of Ibergereggpass is roughly 13km from the finish line. The finish is in Hoch-Ybrig – a medium sized ski resort under Druesberg peak in the canton of Schwyz. I guess the outcome will be a GC group sprint with quite large time splits between the groups. Tour de Suisse stage 4. Rapperswil-Jona – Schaffhausen, 181km, medium mountain, dirt roads. 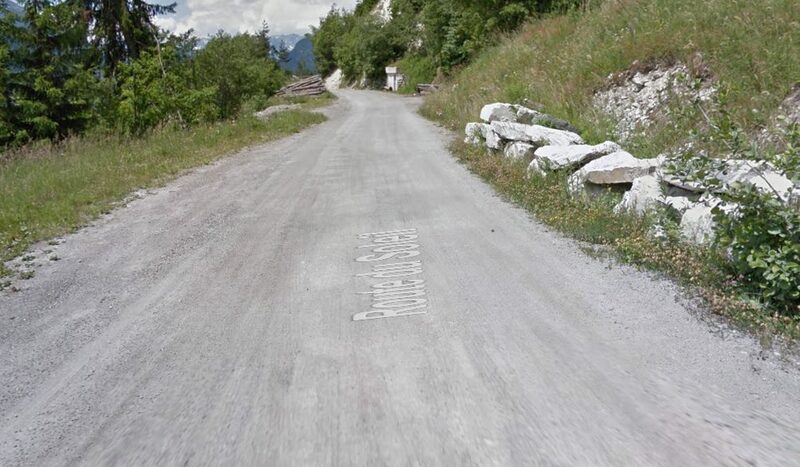 Sorry, but i need my dose of dirt roads an thankfully Switzerland has a number of good quality sterrato. 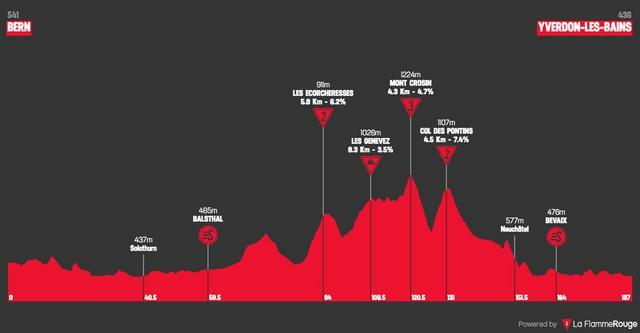 This borderline hilly/medium mountain stage starts in Rapperswil-Jona – historic lake crosspoint on Zürichsee and finishes in Schaffhausen after 3 laps in the hills of Randen north of the city. 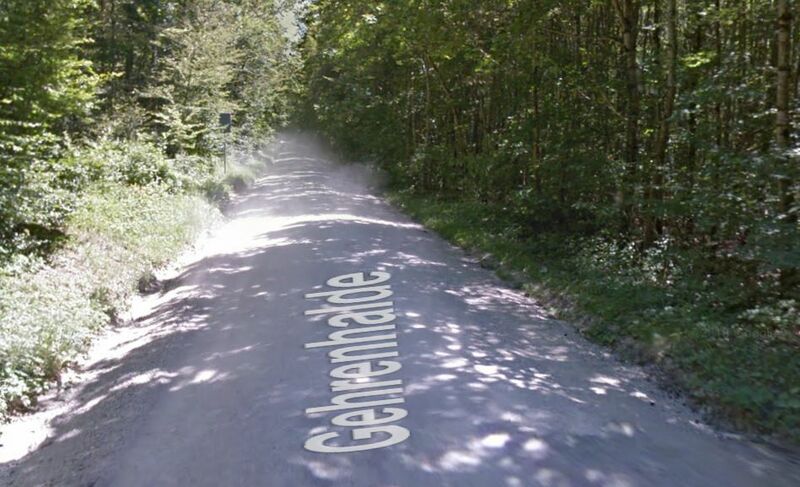 Those laps include the climb of Mäserich – 11,4km at 4% of which last 2,2km are on dirt (a road called Gehrenhalde). 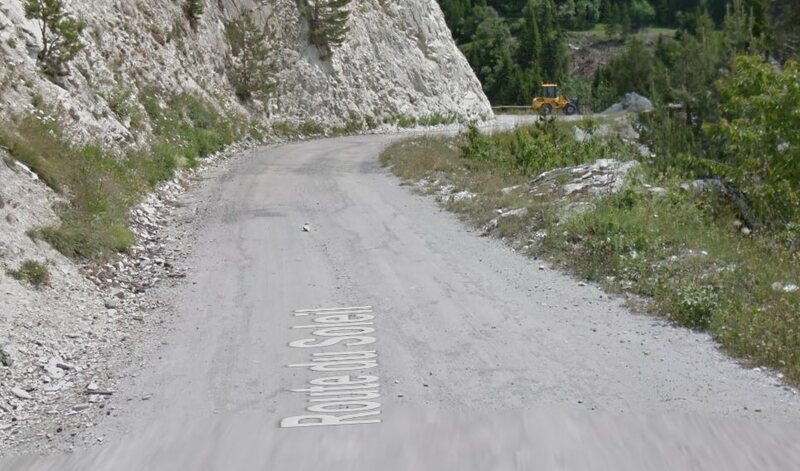 The descent is quite steep and difficult, mainly because the road (surfaced) is quite narrow. The top of Mäserich is roughly 27km from the finish. The finish is slightly uphill. I assume it should end in a reduced bunch sprint unless something big will happen on the dirt, which is doubtful. Gehrenhalde. Sadly, the streetview image is not the best quality. Tour de Suisse stage 5. Lenzburg – Langnau im Emmental, 168km, hilly. The only bunch sprint stage of the race. Lenzburg is a relatively large town near Aarau. It's home to an XI c. castle – former seat of local counts and later the House of Hohenstaufen (Frederic Barbarossa). The finish is in Langnau – a town in the center of Emmental, a region mainly known of its cheese. The only notable climb of the day is Schallenbergpass – 5,6km at 5,7% with last 2km at 8,2%. The top is 70m from the finish. There are 3x20km laps around Langnau im Emmental. Tour de Suisse stage 6. Burgdorf – Mont Chasseral, 161km, medium mountain, MTF. A medium mountain stage heading from Burgdorf – the biggest and oldest town in Emmental to Mont Chasseral, which is sadly underused. It's one of the hardest climbs in Swiss Jura yet near the top it has a hôtel and a sizeable parking lot. I've already used the climb once and it was the hardest side from La Neuveville (a borderline cat. 1/HC). This time i decided to go from Saint-Blaise and break the climb into two. The first part is to Enges and it's 6,6km at 6,6%. The second part is tougher – 8km at 8,2% with the first 5km at 9,5%. I hope Chasseral will provide a good GC action but it's mainly to provide some tiredness to the legs before the next two stages in high mountains. Profile of Enges and Chasseral (only to the Hôtel sign). Tour de Suisse stage 7. 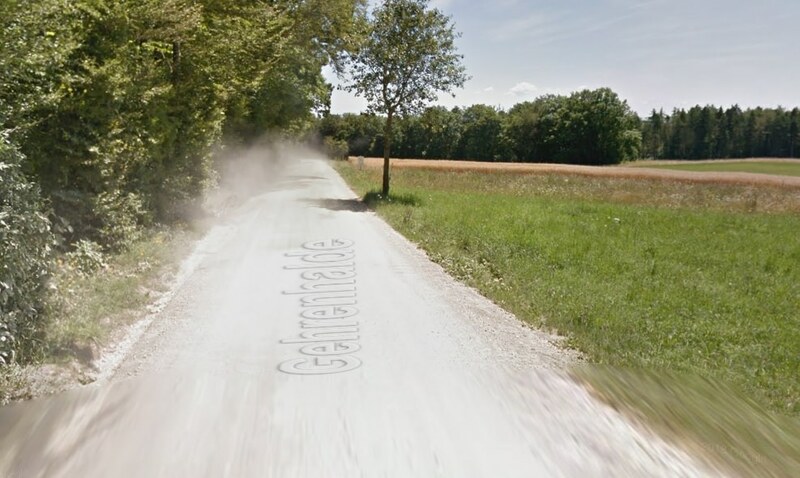 Avenches – Verbier, 192km, mountain, MTF, dirt roads. Possibly the queen stage of this race. It exists solely for one gimmick – a new approach of Verbier. This new side starts in the village of Lourtier and mainly uses Route du Soleil, which does feature a 2,8km long dirt section. The full climb is 11,7km at 5,5% but it's broken into a couple of parts. The hardest part is 6,4km at 8,4%, which tops 5,3km from the finish. 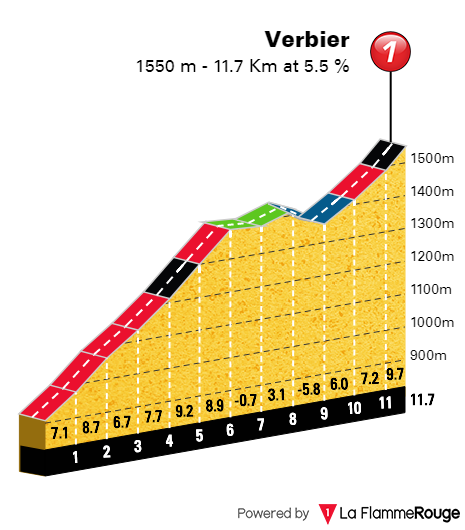 Next 3,1km to the main road to Verbier is up and down and the last 2,2km are at 9%. The dirt is in fine quality but it's up and down, so it may provide an additional challenge. Verbier is preceeded by Mosses, Croix and Planches. I decided to not go overboard with Lein, but it's a viable option. Below are the profiles of the climbs. Profile of Col de la Croix (from Col des Mosses sign). Profile of Col des Planches. Tour de Suisse stage 8. Sierre – Hasliberg-Wasserwendi, 195km, mountain, HTF. If not the previous stage, then this is the queen stage. It features Furkapass and Sustenpass with a finish in Hasliberg (in the Wasserwendi part) – a small ski resort above Meiringen, not far south from Lucerne. It's somehow also the only stage to start with a climb – 9km at 7% Eischoll, lower part of Moosalp. The main highlight of the stage is hopefully Sustenpass – a harder version of Aubisque. The top is roughly 47km from the finish line. I hope someone will try to be another Land... Froome. The last climb is Brünigpass – 5,8km at 7%, which peaks roughly 6km from the finish line (which is slightly uphill). Hopefully the time splits will be large. Profile of Eischoll (only to the Eischoll sign). Tour de Suisse stage 9. Luzern – Luzern, 21,2km, ITT, hilly. I didn't wanted to copy the Bern ITT so i decided to repurpose my old Lucerne ITT. It's quite hilly and in some places technical, but i'm not sure if it's not too short. Lucerne is quite close to Hasliberg, so the transfer shouldn't pose too much trouble. The main climb is Obergütsch, which is 2,4km at 6,4%. Obviously the time splits should not be too big unless you're Bardet. 9 stages is not too much, but i still decided to break the racer into two mountain blocks hoping there'll be some minor flunctuations in form between those coming from Giro and those prepraring for the Tour. Of course every mountain top finish is followed by a descent finish. There are two stages featuring dirt roads – one hilly and one in the mountains. I'm not sure if the time trial is not too short, but i didn't wanted to repeat a much more popular Bern. stage 2 long transfer from berne's suburbs to the jura mountains and then to the Geneve Lake, where in Montreux starts the Glion climb, short but steep. fisrt test. 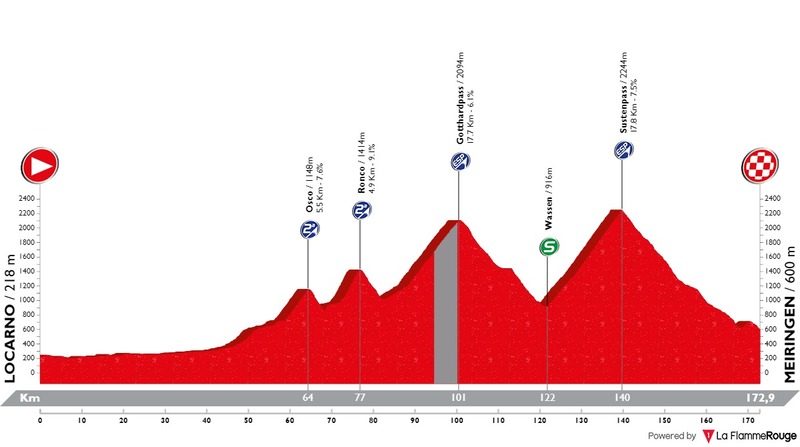 stage 3 has two long and steep climbs in the middle part, after that some flat before the final climb that ends near the finish line, that is some km downhill. stage 4 is a medium mountain stage. big climb in the first part, then flat, a steep and short climb before 5km of flat before the finish line. 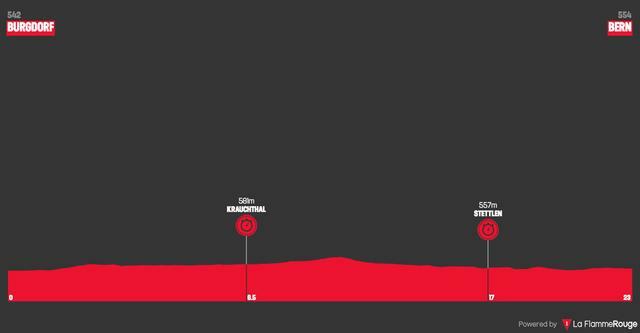 stage 5 is a 40km ITT mainly flat. stage 6 starts the final mountain combo with a tricky final. 3km ramp, not big gaps expected. stage 7 is the queen stage with some small and steep limbs before the final one that is 12km long and very very steep. stage 8 is much longer that st.7 and has another MTF on Splugenpass, anticipated by two HC climbs. stage 9 is a circuit in Thusis with a small climb and a small uphill sprint. Tour de Suisse "D'un chateau à l'autre"
I would call my Tour "D'un chateau à l'autre" cause the prologue ends near the vaduz Castle and last stage near Sasso Corbaro Castle near Bellinzona. Other than Liechtenstein, the road passes through Austria (stage 2) and Italy (stages 2 and 8), but except the first one the other stages ends in Switzerland. The stages ends in places speaking the four languages of the country: German (Amden, Aarau, Briga, Splugen), Romansh (Mustair), French (Lausanne), Italian (Mendrisio/Monte Generoso, Bellinzona). There are two time trials (the prologue and the last one), a stage for sprinters (Briga), a stage for sprinters/finisseurs (Lausanne), a stage for finisseurs (Aarau), a stage for breakthrough riders or finisseurs (Mustair), three high mountain stage (Amden, Mathon, Monte Generoso). 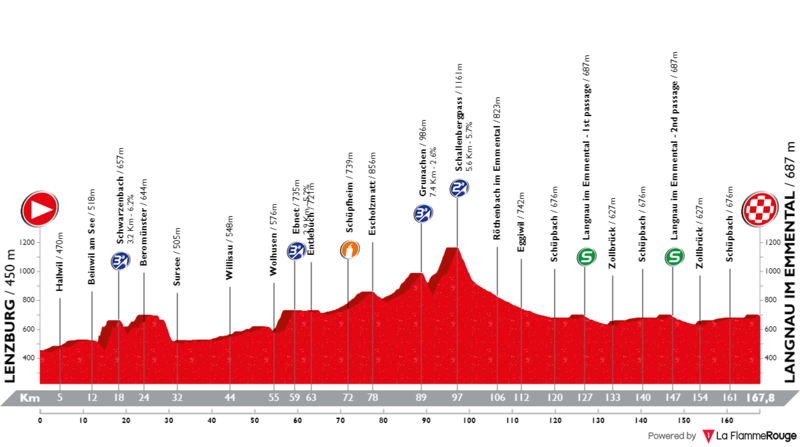 1 stage: Prologue in Vaduz 1,5 km itt; it's a short prologue in Vaduz, the capital town of Liechtenstein: it starts near the Cathedral ending in Vaduz Schloss with a climb 1 km long at 10%. 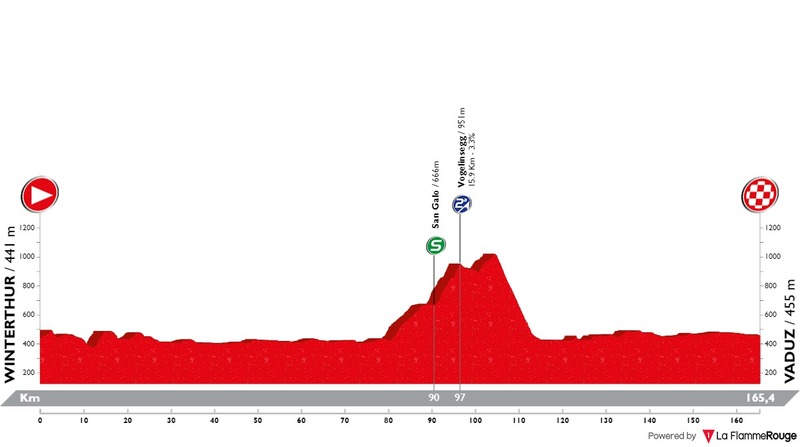 2 stage: Vaduz-Mustair 185 km; the second stage is a medium mountain one with three long climbs, but easy: the longhest and steepest, very distant from arrival is anyway at 5,5%, while the second and third, very near the arrival, are under 3%. The arrival is in the Romansh speaking Mustair. That's a for nations stage, starting in Liechtenstein and arriving in Switzerland through Austria and Italy. 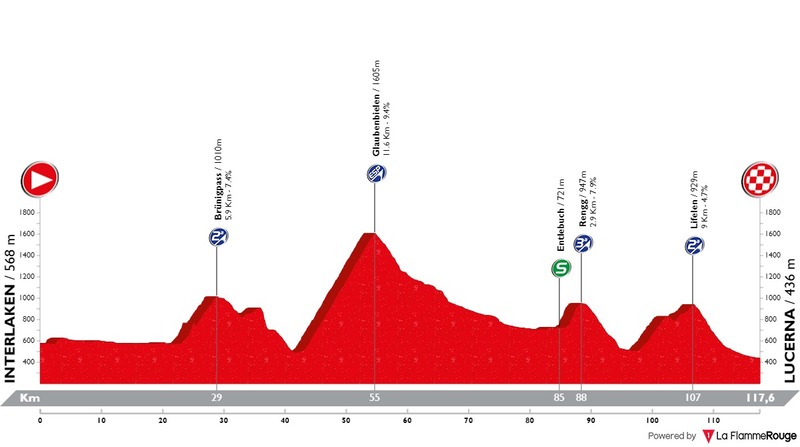 3 stage: Val Mustair-Amden 170 km; Third stage is the first true top finish of the race. In the first part of the stage there are two classics climbs. Fuornpass and Fluelapass (the second highest of my race), very long, but distant from finish. A third gpm, far lower than previous, is not distant from finish, but is not to hard at 4%. 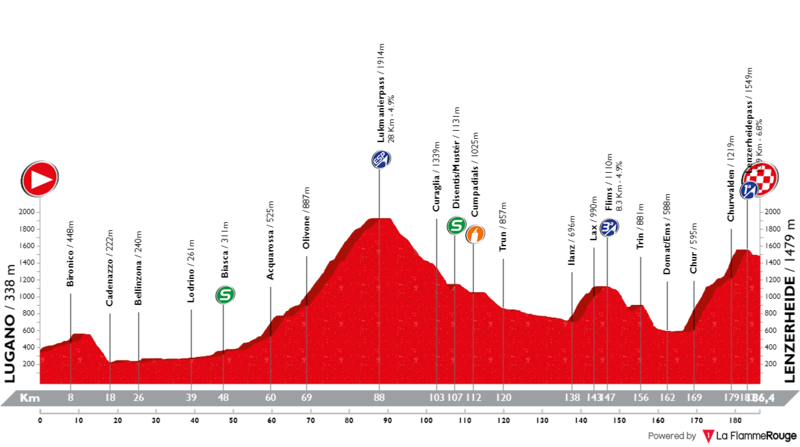 The final climb is short (5 km), but very steep (10%), much like the Vuelta's muritos. 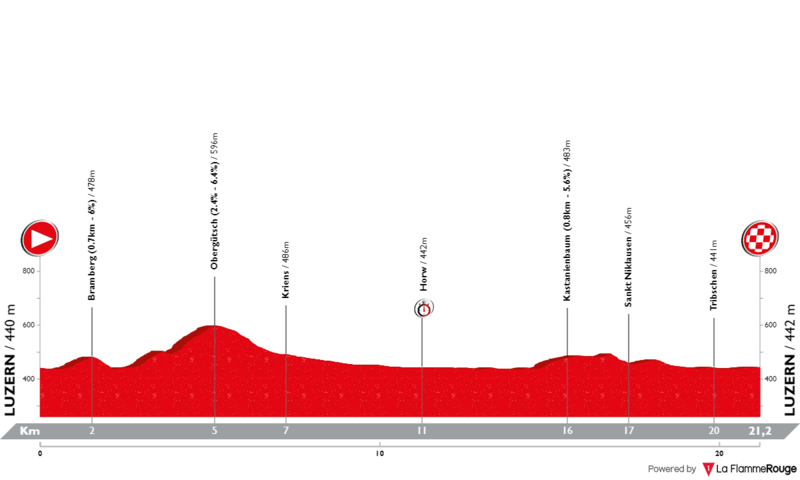 4 stage: Weesen-Aarau 156 km; it's an hilly stage with two short climbs distant from finish: opposite, the final climb to the Park, very short but very steep can exclude the pure sprinters and favours finisseurs. 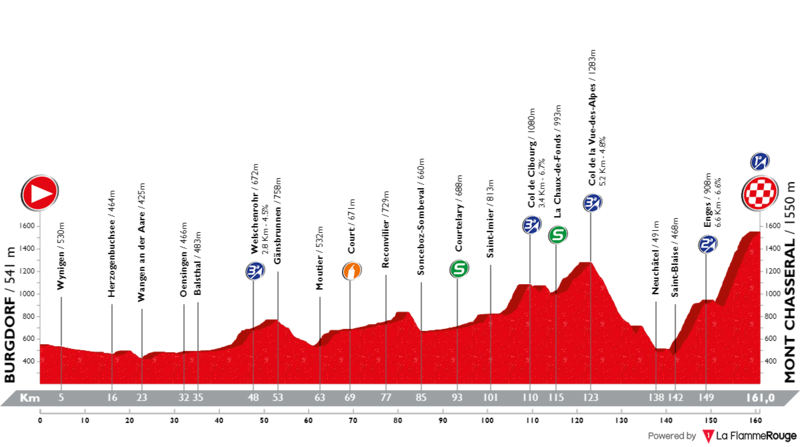 5 stage: Aarau-Lausanne 180 km; plain stage with some hills: the only gpm can't be selective. The finish is hilly, but not steep: the stage can favor a finisseur or a sprinter who can resist in easy climbs. 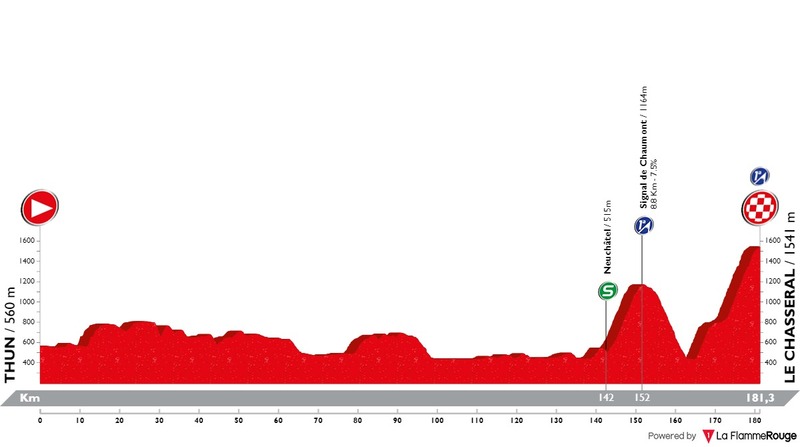 6 stage: Lausanne-Briga 150 km; though the road is ascending for many km, this stage should be for sprinters. 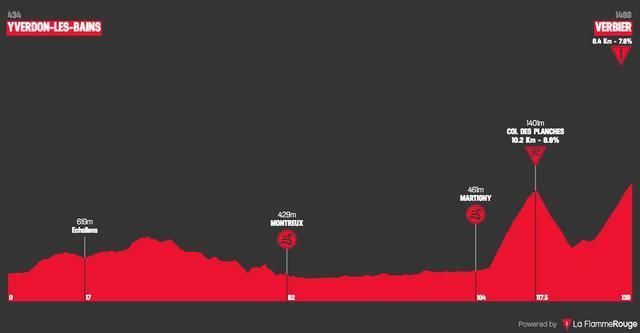 7 stage: Briga-Mathon 193 km: One of most difficult stage of my Tour, with 4 climbs. 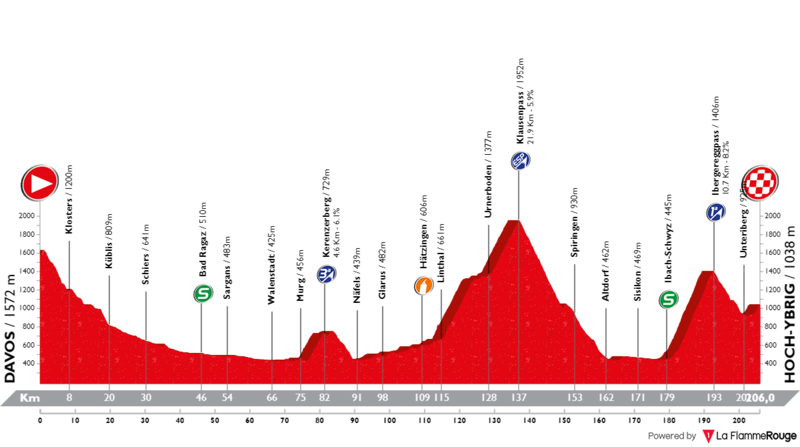 In the central part thare are long Furkapass (highest climb of the Tour, 16 km at 6,5%) and Oberalppass (10,5 km at 5,5), while in the final part riders have to climb Hochseil (8.5 km at 5,5%) to finish in Mathon (10 km near 7%). 8 stage: Splugen-Monte Generoso 213 km; the longest and probably the most difficult stage of the race. With the initial climb of Splugenpass the road enters in Italy: here riders, after long but easy Colle di Balisio (25 km at 2%) fronts two classics climbs of the Giro di Lombardia in the Sixties, the Superghisallo (11 km near 7%) and the Colma di Sormano (7 km at 9%, but with the two of Muro near 15%); the finish is posed on Monte Generoso (10 km at 7.5%), near Mendrisio, a classic climb of Tour de Suisse and Giro d'Italia. 9 stage: Torricella Taverne-Bellinzona 27 km itt; final medium distance time trial in Canton Ticino, with two climbs, the first, easy, to V.co Monte Ceneri (7 km at 2%) and the final one to Castello di sasso Corbaro (3 km at 7%). Last edited by david.tuci on 19/06/2018, 12:52, edited 1 time in total. A relatively simple time trial to start, traced in Geneva. For specialists. A stage that should smile to the sprinters with a final circuit to perform twice. Be careful though at the côte de Chamblon, which could cause problems. A new time trial, this time by teams, which should once again disrupt the overall classification. This is the first step for the favorites with the first pass of 1st cat to cross, halfway. But everything will be played in the final with the sequence of Belpberg, Tottenberg and the final climb to the Gurtenkulm. This is undoubtedly the stage-queen of this Tour de Suisse with three out-of-category passes on the program: the Sustenpass, the Gotthardpass and the final climb to the Nufenenpass. 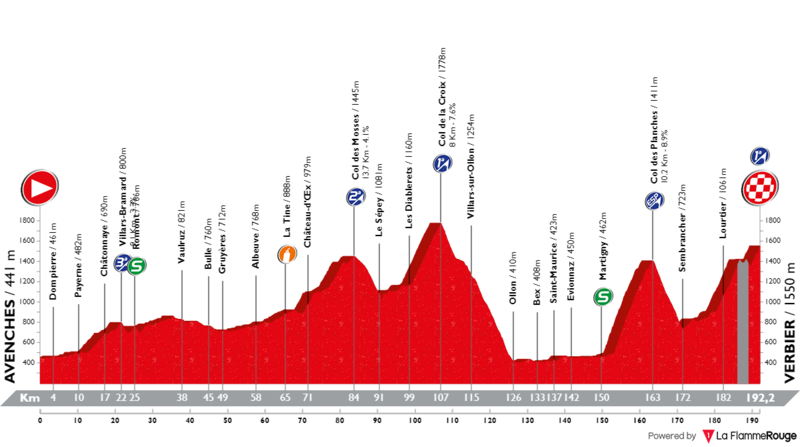 New big mountain stage towards Sion with notably the known climb of Crans-Montana. But it is in the sequence of climbs to Lens and Anzerre that the victory will be played before the rapid descent to Sion. Another difficult day today with four climbs to the program. If the Mayenspass and the Col de Lein are regular and not too hard, the Cross of Hearts will be the most difficult pass of the week with 26km to 6%. 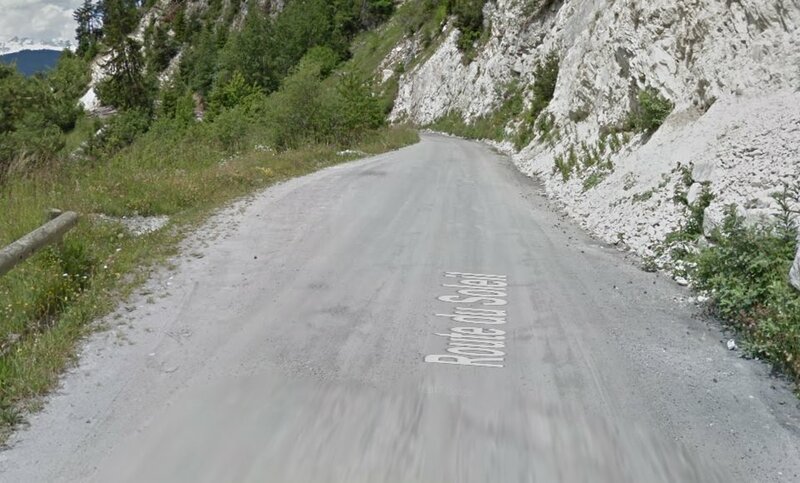 Before, of course, the terrible final climb to Ovronnaz, more than 9% average. Last day and last day to reverse everything: there will be something to do! With the summit of the Col de Croix (HC) located 70km from the finish, we can try his luck from a distance, unless we bet on the terrible climb to the Col du Tanay and his last kilometer in dirt road to more 20%. - There is one time trial: fully flat and of 35 km. This makes time trialists the opportunity to make some gaps and not give away their chance, although the race is unfavourable to them. - There are four mountain stages. - There is only one stage for pure sprinters (stage 1). Stage 3 is thought for a reduced sprint and stages 2 and 9 might finish as a restricted sprint finish also. The first stage of this Tour de Suisse joins two of the main cities of Switzerland: Basel and the capital city Bern. 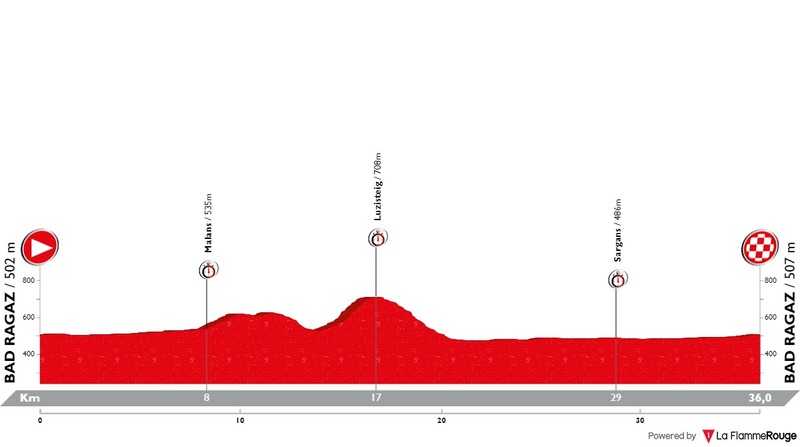 The route is mainly flat (probably the only mass-sprint stage in this Suisse all) but with some minor climbs in the first part of the race, which will bring the first KOM jersey. Probably a sprinter will wear the yellow after this stage. 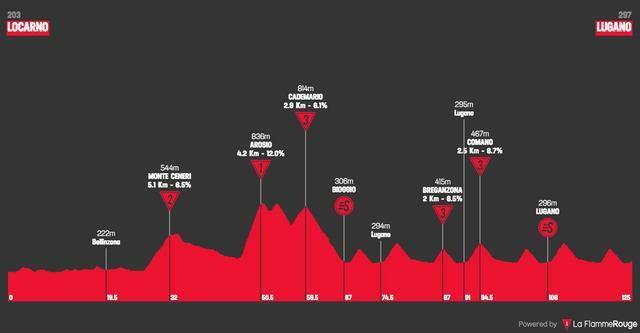 The second stage, joining also big swiss cities such as Bern and Lausanne, brings a quite different scenario. A typical medium mountain stage shows the landscapes of the Jura mountains and takes the race to the West into the French half of Switzerland. The first part of the stage, until Neuchatel, is mainly flat, but here the difficulties start. Five chained 2nd and 3rd category climbs will lead the riders back and forth from the Neuchatel lake shore to the foothills of the Jura in short, steep ascents, joint without a plain meter. After Yverdon-les-Bains, the route turns easier for 40 km, with a significantly more smooth ground. Finally, after the entrance in Lausanne, the two final climbs appear: the first one (Parc de L'Hermitage), comparatively long and smooth, will bring a team the opportunity to make a selection, and the last one (Cote des Bouvreuils), shorter and steeper, is perfect for attacks and a break of the race. The summit of the last climb is 6 km before the finish line, whose final kilometres are a nervous descent and the final flat straight to the end. Beautiful and difficult to control stage, the favourites will be puncheurs and attackers. Final line stage for the first section of this Tour de Suisse. As the first two stages, the route links two important cities -Lausanne, host of the ending of the previous stage, and Luzern, host of the next day's TT-. The race is harder than the first day, but easier than the second one, being a reduced-sprint-type stage. The route is long: almost 215 km with a smooth environment of Swiss Central Valley. There is not a completely plain stage but there are not proper and real climbs, excepting the fifth categorised "muritos". The climbs of the journey are indeed short and steep, and the first two, being in the first kms, will help the formation of a break. Nevertheless, the two final difficulties are the most important for the developmente of the race: the 2nd category Col du Rengg is incredibly steep and its summit is placed 22 km before the finish line, and mabe here some brave riders might try an early attack, or some teams might try to eliminate the best sprinters. After the long descent to Luzern, a final surprise is coming: the Hochbuhlstrasse ascent, with just half a km but with a high slope. Positioning will be essential and maybe some solo attackers could surprise to avoid the reduced sprint. The ITT of this Tour de Suisse is placed in the surroundings of the town of Lucerne. It is the inflection point between the three first stages and the mountain quartet. The route is mainly flat, although the ground is not an exact 0% slope, since it has smooth upwards and downwards. Thus doesn't make the race more mercyful with pure climbers, and time trialists are going to make a valuable gap to manage in the former stages. This time trial is the best option for Dumoulin-type riders to try to strike the GC, take the yellow jersey and keep options for the final victory in Zurich. The flatness of the TT is an added feature for them, and a little punishment for climbers, whose big days will become just after this. First mountain stage and MTF has finally become! 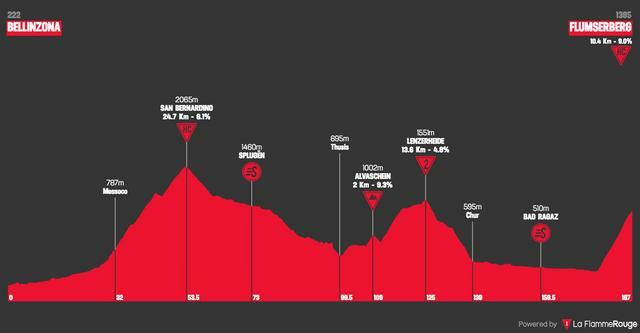 This fifth stage is short, nervous and with all the action packed in the last, terrible, 10 km-long Axalp climb. 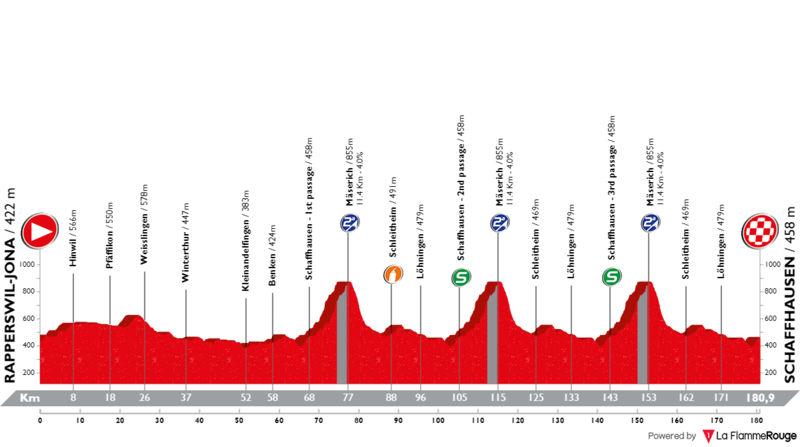 All the first part of the stage, from Luzern, is pretty flat, with the exception of the system Kaiserstuhl-Brünigpass, 3rd and 2nd category climbs, not very hard. The second part of the stage sorrounds the Brienzersee lake and crosses the city of Interlaken. After it, the preparation for the final climb is served: positioning will be essential, but the road is considerably wide and in good conditions. Although that, the ascent is very hard: only 10 km but with an average slope of 9.5%, with complete km at 10% slope and ramps of 13%, in a frighteningly constant climb. Probably one of the queen stages of this Suisse, besides its sister stage 7. In opposition with the previous stage -short, with all the action packed in the final short, steep climb- this stage is a classic resistance high mountain day. At first: 218 km of race (not fot everyone) After: three big climbs of more than 1000m denivel each, and more than 5000 m of positive denivel. Also: the climbs are linked with not a flat meter between them. Finally: the climbs are not very steep but constant in 6 to 8% slopes and, principally, ridiculously long (all more than 20 km climbing). The first 50 km of the route are completely flat, as the riders surround the Thunersee, going back and forth to Interlaken and crossing the town of Thun. After it, the difficulties start: Grosse Scheidegg is the first ascent: 22 km at 5.78% average. The last 7 km are terribly hard (always higher than 10%) and it will show the tactical race with breakaways and team work. 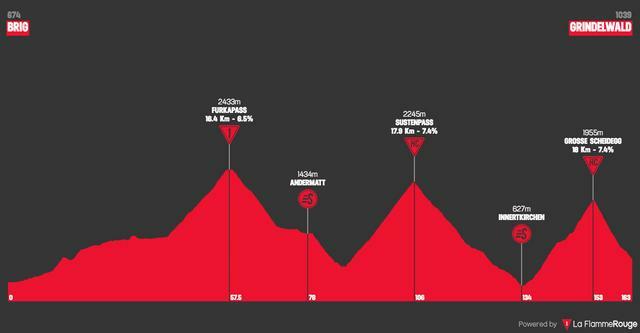 After a long descent, the second climb is Sustenpass, which, with 2259m elevation, will start showing the difficulties of altitude to the riders. In this climb is possible that a first selection is made. After the respective descent, the final Klausenpass is waiting for the final overcome of the stage and an other long descent will count for the final time gaps until the finish line in the village of Linthal. The "other" queen stage has some different difficulties in front of the previous one. 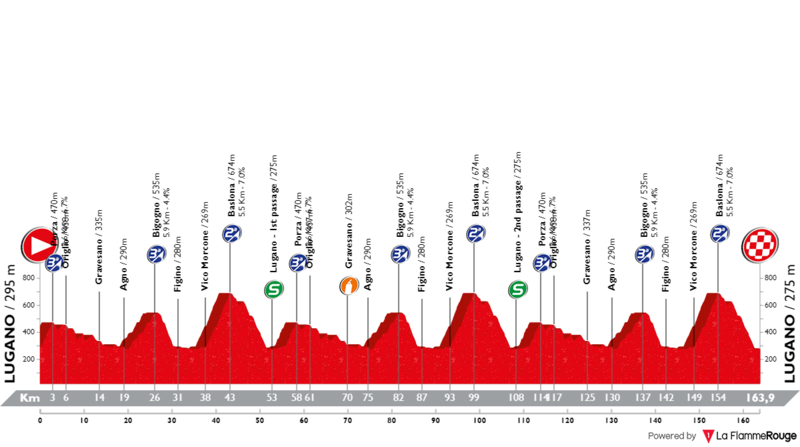 In this route, the final is on climb, there are more, shorter climbs, and the final 60 km are mainly upwards -descent have not the same value as in the previous stage. 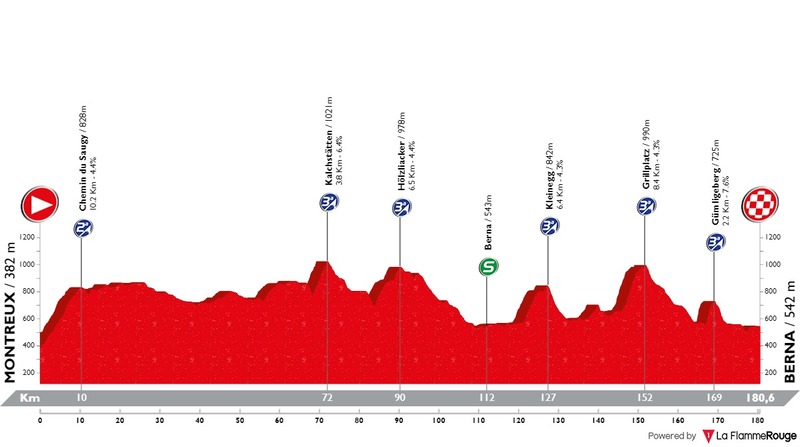 The race starts in Glaris, pretty near to the end of the previous stage, and the first 90 km are side to the Wallensee and all the continuing valley, but this straight is spoilt with short, hard climbs such as the Flumserberg or Plattiseg, around 5 km of climbs but with average slopes of 10 and 8%. 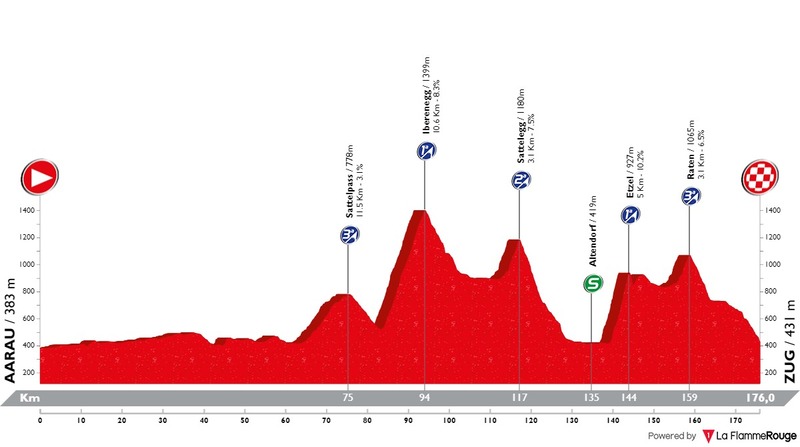 The main part of the stage starts at Chur, with the start of the system Parpanhohe-Albulapass, which will take the riders to an altitude of 2311m on the summit of Albulapass. There is a long partial descent between the two ascensions, and slopes are not specially high, excepting the final km of Parpanhohe and the middle part of Albulapass. Maybe this climbs make a final selection with the mind put in the final climb of Sankt-Moritz, short but incredibly steep (10%), to make all the moves and decide the race, or maybe the race breaks itself at Albulapass, increasing gaps and making decisive the 10 flat km between La Punt and Sankt Moritz. The last mountain stage of this Suisse is noticeably easier than the two previous routes: it has more flat terrain and the majority of the trajectory is downwards. A breakaway has a good opportunity to shine in this stage: the first part is more difficult and the long descent from the Alps to the Rhin valley makes less fatigue and a good opportunity to have strength until the final climb. The first part of the stage is flat, following the valley of Sankt Moritz, until the turn at the left to face the Fluelapass, the last passage above 2000m altitude. After the summit of Fluelapass, a huge and long descent of almost 60 km will take the riders to the Rhin valley. After a short 3rd category and a brief pass by Liechtenstein, km 120 to 170 are completely flat, and it will be the preparation for the final climb. It it not very long and not very steep, but its almost 11 km at a 6.40% average and specially the final 2 km with 10% slopes make it quite respectable, and some riders with time lose might try for a little gap. The final descent could make a role in the overcome of the stage. The last stage is not the calm walk it was supposed to be. A very interesting circuit around Zürich will make this stage a very classic-style, WC type. 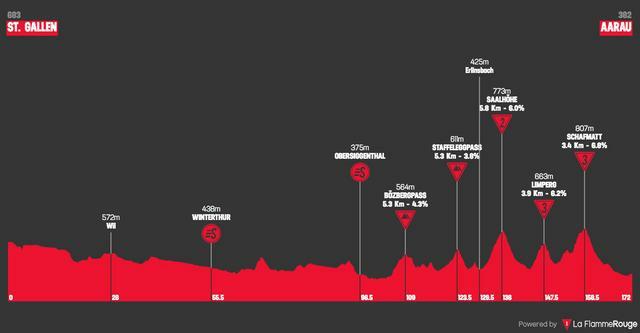 The route starts at the town of Winthertur, nearby Zürich, and, after 20 km of approximation, the riders will enter the circuit, which features the streets of Zürich, nearby towns and the climb of Adlisberg, a short climb but with a final km at 10%. The repetition of this circuit will make the race hard, specially if attackers and punchers try to move the race. Probably not a day to decide the GC, excepting a very tight gaps, which might encourage some of the riders to try to take the victory of the race.